Elevate your event from average to extraordinary. 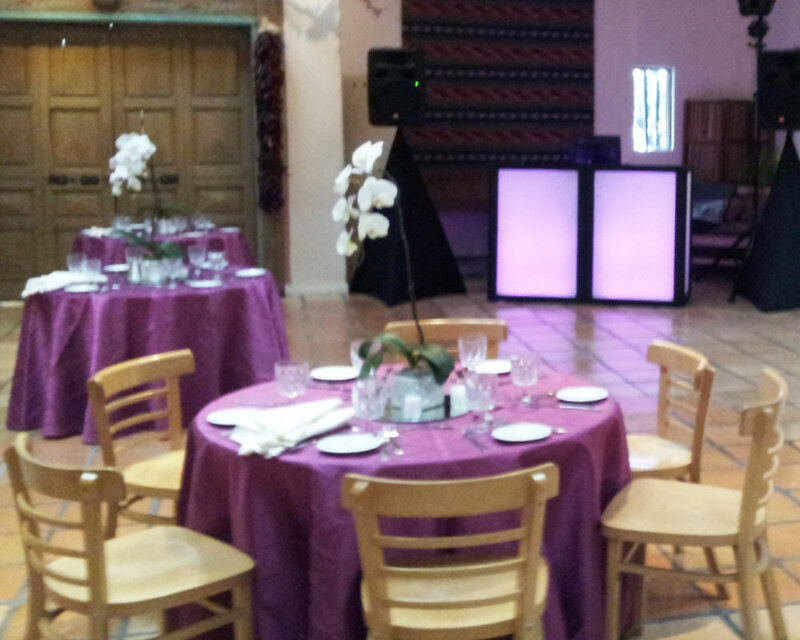 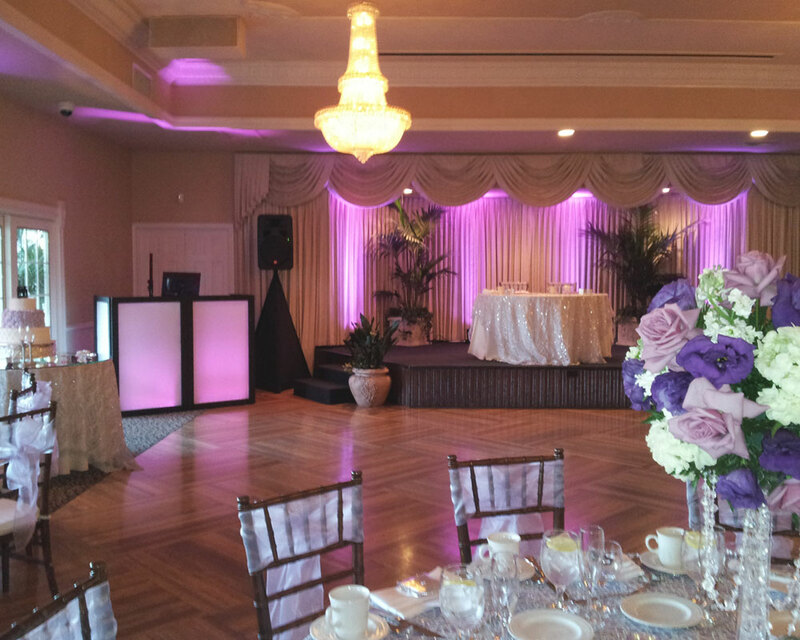 Our lighting packages will add fantastic ambiance to your wedding reception. 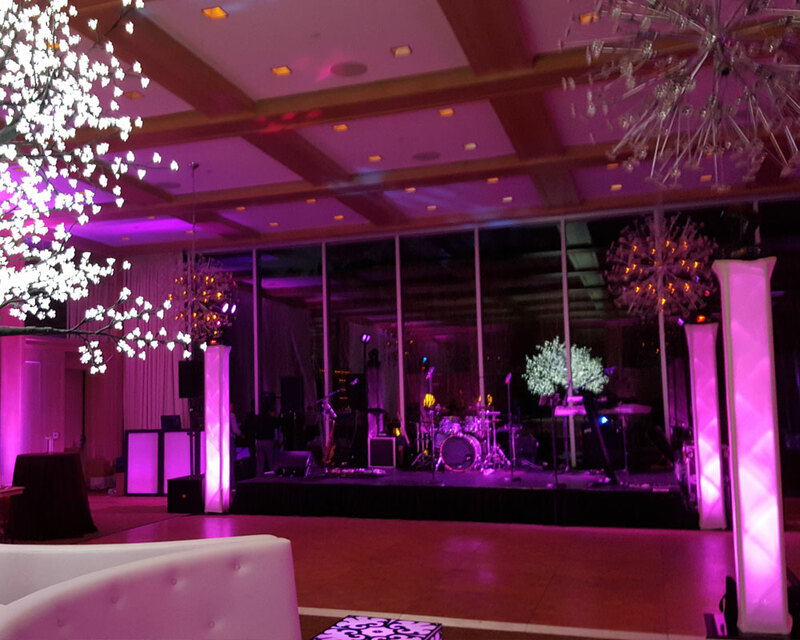 From classy uplighting to an all out club-style blast that will wow and excite your guests. 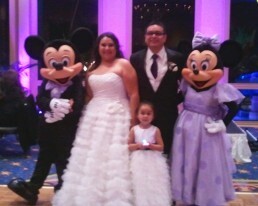 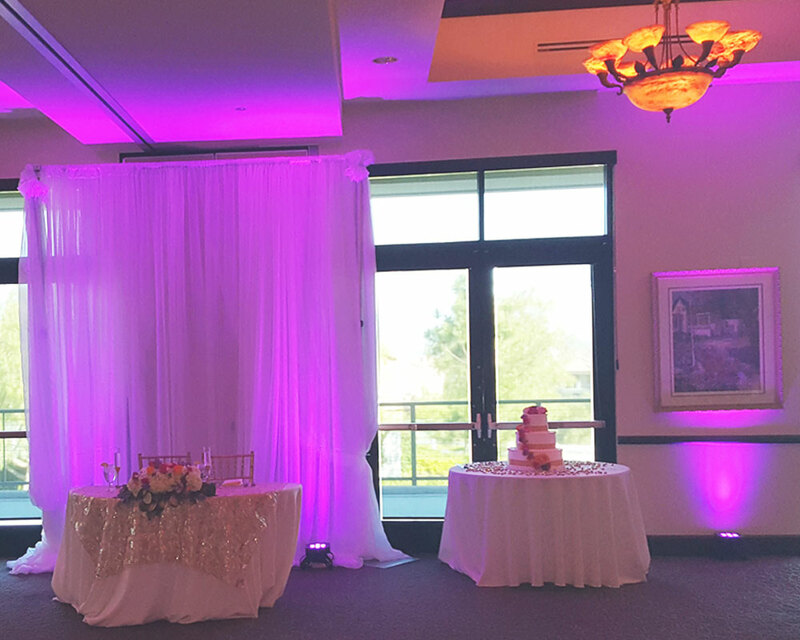 The right lighting can elevate your reception from average to extraordinary. 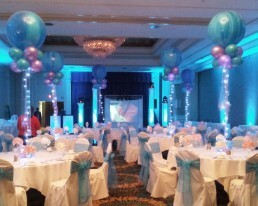 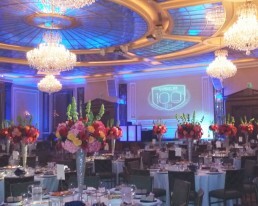 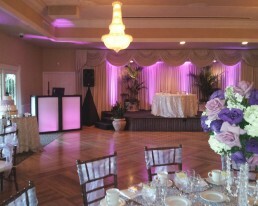 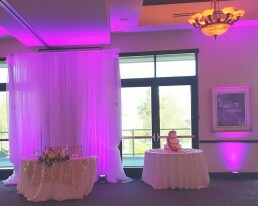 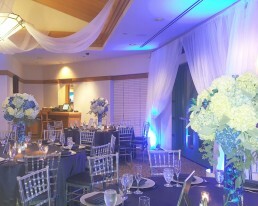 Add a classy touch to your special event with custom color uplighting. Utilize uplighting to accent different areas of a venue, including walls, pillars or your head table. 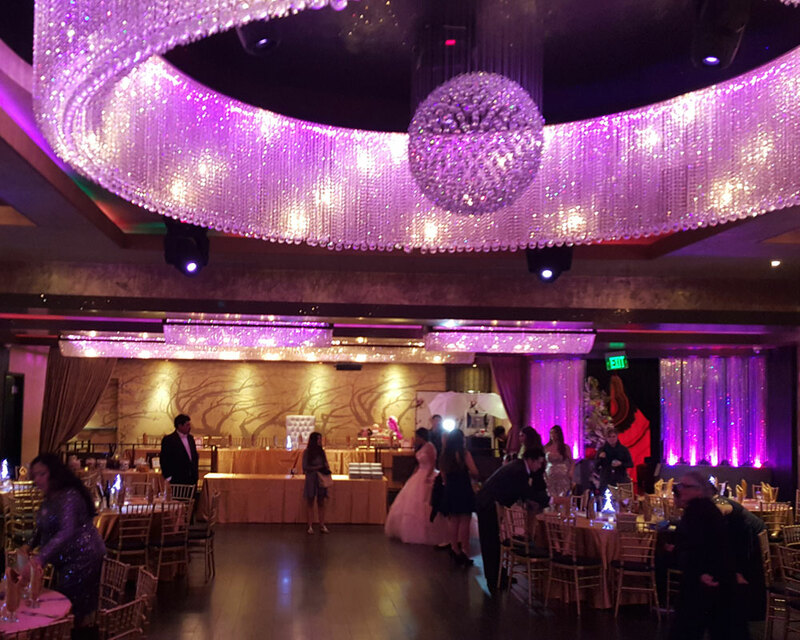 Add dramatic illumination to your centerpieces, buffet, floral arrangements, cake and sweetheart table. 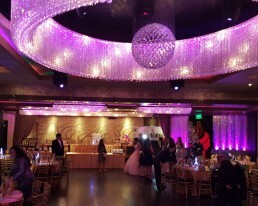 We'll create a customized light design that will display your logo in the room. 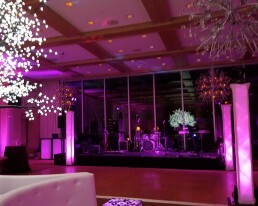 This is one of the most impressive lighting options that event planners choose for their parties. Call 714.904.8642 or click the button to get your custom quote.